Gloryhogs - A Smolderthorn Horde Guild - View topic - Majorhomo Faghelm... Get It? No? Well Concentrate Harder! Post subject: Majorhomo Faghelm... Get It? No? Well Concentrate Harder! Heroic Majordomo Staghelm 25 down, 6/7HM. 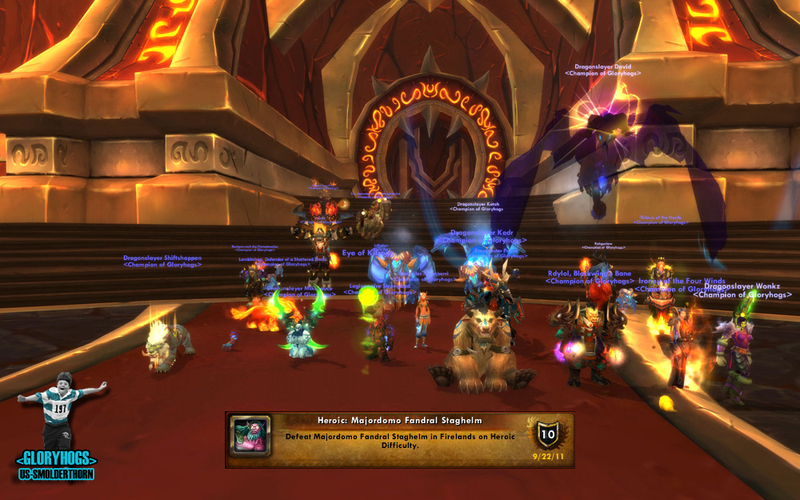 Heroic Ragnaros get ready to destroy us for months!